Many thanks to Alexandre Holter. It's an honor being associated with such a distinguished author. SCARLET IN GASLIGHT 25th Anniverary Edition Now on Sale! 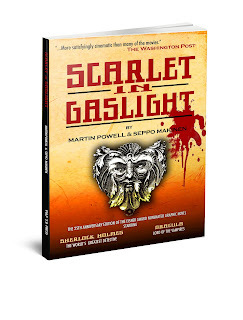 Twenty-five ago my SCARLET IN GASLIGHT was first published, and started my writing career. Unlike many of the books I've written, I own this property and it's very gratifying to see its 7th printing as a special anniversary edition from Pulp 2.0 Press. A very sad farewell to the legendary Jerry Robinson, Golden Age comics giant and the co-creator of The Joker and Robin the Boy Wonder. He was 89. My life wouldn't have been the same without you, sir. My aunt, Ethel Maude Smith Powell (October 21,1930--November 26, 2011) passed away peacefully yesterday, after a long illness. 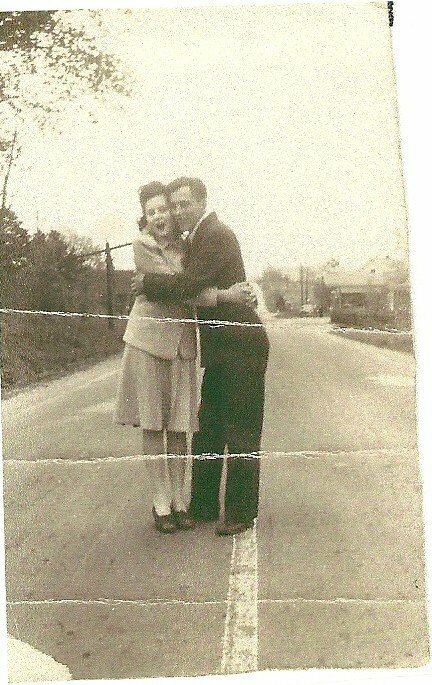 Although I know Aunt Ethel's troubles are over, her passing genuinely breaks my heart. She was married to my father's twin brother (as seen above), and she was great pals with my mother, which perhaps strengthened the bond I always felt with her. 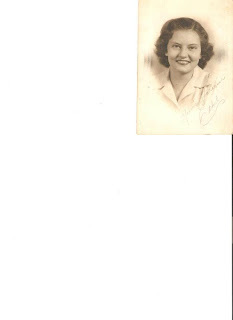 A very special lady who made my world a much better place. Once upon a time, when I was very young and foolish, I had aspirations to be an artist. Thought I'd share a few pieces with you, mostly for the sake of nostalgia and fun. Let's start with the one above, the first ever drawing I made of my HALLOWEEN LEGION, when I was in the tenth or eleventh grade. As you can see, my little group of weirdos have evolved a bit since those days. The first stuff I ever remember drawing were dinosaurs. This one was done really early on. Now a couple much earlier original characters of mine, drawn when I was in elementary school. One of favorite characters. Someday I will get to write a real POPEYE adventure. Let's move along into my later high school years, when my drawings were a bit less of an eye-sore...probably because I'd discovered girls. This one below was drawn from life. My high school sweetheart at that time, around eleventh or twelfth grade. I had a mad crush on actress Jane Seymour after seeing her in FRANKENSTEIN: The True Story and LIVE AND LET DIE. Little did I realize that year later we'd meet. She's still beautiful. I think it was around my senior year of high school that I had the totally unrealistic ambition to illustrate the novel DRACULA. They're not very good, but I did try very hard to reproduce Stoker's visual description of the Count. Now for some classic movie monsters, another favorite subject of mine. This is a poster for an imaginary movie that would have been the companion film to Universal's House of Frankenstein and House of Dracula. Plus, some pics of Boris, Bela, and Christopher Lee. I always loved drawing them. One of my more ambitious pieces. 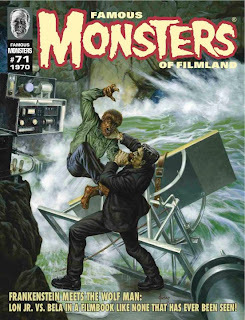 A friend and I were going to pitch a Frankenstein comic book adaptation to Famous Monsters magazine around 1980. Not very good, but at least it has mood. I was trying to capture the essence of one of the original movie posters. And, yup. 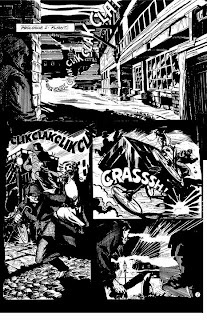 I drew some pulp stuff, too. These were done when I was fresh out of high school. 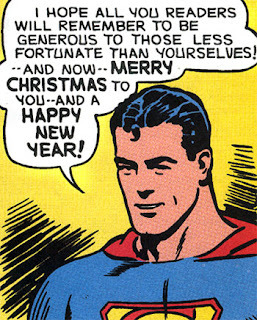 And, yup. I drew some pulp stuff, too. These were done when I was fresh out of high school. Doc Savage's super-firer pistol is based on a design by Steranko. The gun-totting lady is my take on Pat Savage. One of my more recent pieces, drawn in the mid-1980's. This is a character created by Dale Roberts, penciled by me, and inked by my long time pal, and co-creator of our THE VERDICT, Emmy Award winner Dean Haspiel. Exploitative, yes, but still sort of fun, I suppose. Okay...the misery is almost over. This is, I think, my most recent drawing. It's from 1992, when I was writing the Necroscope comic book series, and a friend asked me to draw a female vampire in his sketchbook. I'm not sure why I chose to waste two whole pages. 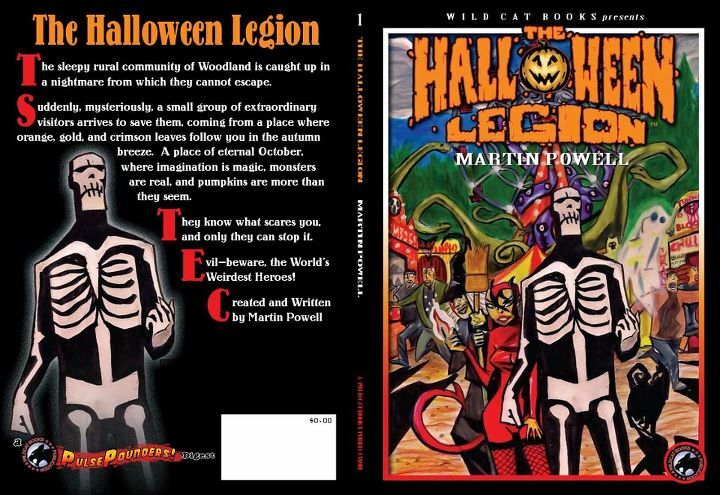 The Halloween Legion ™ Martin Powell. Huge announcement for me today. 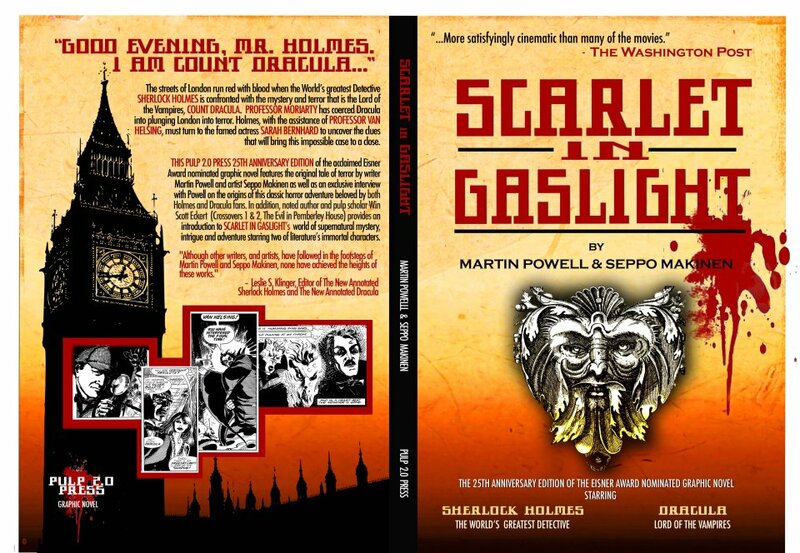 It may be tweaked a bit before release, but here's the front and back cover of the 25th Anniversary Edition of my SCARLET IN GASLIGHT (Sherlock Holmes meets Count Dracula) graphic novel, designed by Bill Cunningham and to be published by Pulp 2.0 Press. 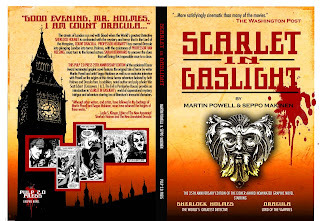 This volume features a new introduction by author/pulp scholar Win Scott Eckert, and an in-depth interview with me, conducted by Michael Leal, concerning the origin of the book. The pages have been cleaned up and enhanced, so Seppo Makinen' s brilliant artwork shines like never before. This is the book that started it all for me. I'm utterly amazed that it's stayed in print all this years. The Spider vs. The Werewolf, written by me, with art by Jay Piscopo, and letters by Nik Poliwko. 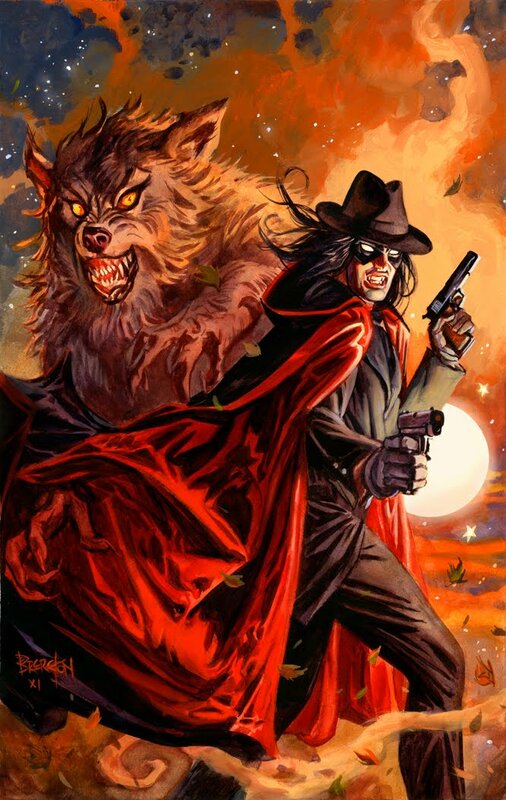 Cover by Dan Brereton (seen here sans logo, in all its glory). Published by Moonstone. 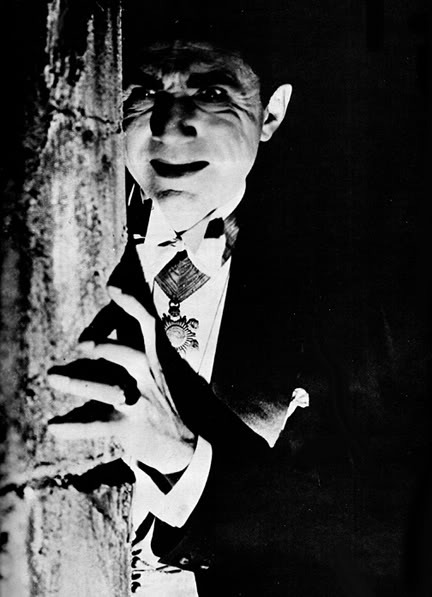 Happy Birthday to the one and only Bela Lugosi! Ron Hanna, publisher of Wild Cat Books, has submitted THE HALLOWEEN LEGION to the printers, so won't be long now until you can hold the book in your hands. This prose novella is 104 pages long, with interior art by Danny Kelly, and will be modestly priced at $12.95. The Halloween Legion © Martin Powell. 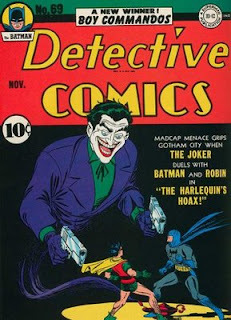 Cover and Interior Illustrations by Danny Kelly. Logo by Ver Curtiss. 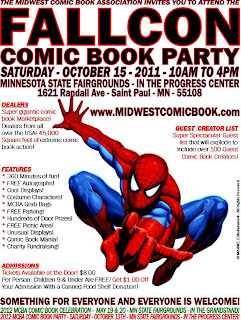 Graphic Design by William Carney. Famous Monsters of Filmland # 71 On Sale Now! I just received my comp copies of FM # 71 and it's gorgeous. Aside from my prose re-telling of Frankenstein Meets the Wolf Man, there's a lot more fun to be had in this issue, as well. The internet doesn't do Joe Jusko's amazing cover painting justice. Yet another dream of mine fulfilled. This is a wonderful Halloween present--to me! Happily, I hear the mag is rapidly selling out, so grab yours soon! I'll be there--hope to see you, too!